Getting feedback on a manuscript is an essential part of an author’s revision process. It brings fresh eyes and objective perspectives to your story. Often than not your readers will see things you as the writer are too close to the project to notice. And these issues don't begin to scratch the surface. Beta Reader vs a Critique Partner? The most significant difference comes down to the perspective each brings to your work. Whereas a Critique Partner is a fellow writer who reads your work and gives you mainly craft improvement tips, Beta Readers read your manuscript from a reader’s perspective, not a writer’s. A Critique Partner is a fellow writer you can talk shop with: character development, plot holes, and the other nuances that go into writing. Nuances only someone who writes and studies the craft themselves will be able to pinpoint and help you address. With your CP you can have long discussions about the back end details of your story you whittle down and tidy up into the final product. A Beta Reader is your testing point to assess if the details you’ve put together on the back end, translates on the front end. Without any knowledge of your back end thought processes, they can tell you if you’ve done a thorough job of setting all the pieces they needed for an immersive reading experience. There are instances when writers can be Beta Readers, which would give you the best of both worlds. With specific questions, you can guide their feedback accordingly, depending on the area of focus you desire. On the other hand, non-writers do not a suitable Critique Partner make. Be mindful of the differences when you post your desire to find either or both. The best way to discover persons interested in being Beta Readers or Critique Partners is through networking. This means getting involved in the writing community. You’ll find writers and non-writers alike thriving in this symbiotic environment. Readers need materials to read, and writers require constructive feedback to develop their craft — a happy win-win. Though finding a Beta or a CP can be a daunting process, it isn't an impossible one. Social media, I have seen, is a writer's biggest ally in the hunt. Based on my experiences I can suggest three mediums: Twitter, Facebook, and Instagram. The writing community on these platforms are super active. Like with everything else you will encounter some bad apples, but with some due diligence, you stand to gain a lifelong writing partner. You can follow the hashtags #CPMatch and #CPConnect and discover other writers also seeking writing partners. #Betareaders is another you can follow to find persons interested in beta reading. On the second Tuesday of every month, Author Kim Chance hosts a Twitter event called #Chance2Connect @ 8 pm CST or 9 pm EST. The next event will be Tuesday, December 11th. The writing community I’ve become a part of on Instagram is seriously something. You can get in on Plottermind Live Chats, live brainstorming sessions, craft chats with writers sharing details about their processes, and live sprints. At least twice a year the Pondering Writers Retreat powers up writing productivity with a weekend of writing activities. During these days you can meet like-minded writers and make connections that’ll last long after the event. Writers are always swapping work becoming each other’s beta readers and critique partners. The key is being willing to reciprocate. Since you’re more likely to find fellow writers during the Pondering Writers Retreat, you have to be mindful of the fact they’ll want feedback too. It’s a giving community where we all try to pay it forward. I could make a longer list of accounts, but I'm restraining myself. These writers will be your entry point. You’ll pretty much run into everyone else by following them. The Plotter Life Writers Community (a closed group for writers created by Brittany Wang) is hosting a #CPFinder event. If you’re serious about improving your craft and helping fellow writers, sign up for this group. As one of the Team Leaders, I can honestly say you’ll be surrounded by like-minded individuals willing to jump into the deep end with you. Want accountability for your writing? Maybe some writing sprints? You’ll find both along with fun writing activities in the Plotter Life Writers Group. For the month of Nano, we hosted our own Harry Potter-themed Nano House Cup, and we have much more exciting activities planned. For more information on how you can find and become a good Critique Partner, check out these videos with Brittany Wang (@authorbrittanywang on Instagram) and Rachel Judy (@rjudywrites on Instagram). A general welcome message to your potential beta readers thanking them for their consideration and giving them a brief overview of the process. Include the focus areas you’d like them to zone in on during the process. Explain the beta reading process in detail. What medium you’ll be using, will all the chapters have specific questions, when and how many chapters will be sent in each batch, etc.? Note the starting date of the beta reading process along with an estimated deadline. You want to ensure your readers understand your time constraints. In many cases, this is a deal breaker. 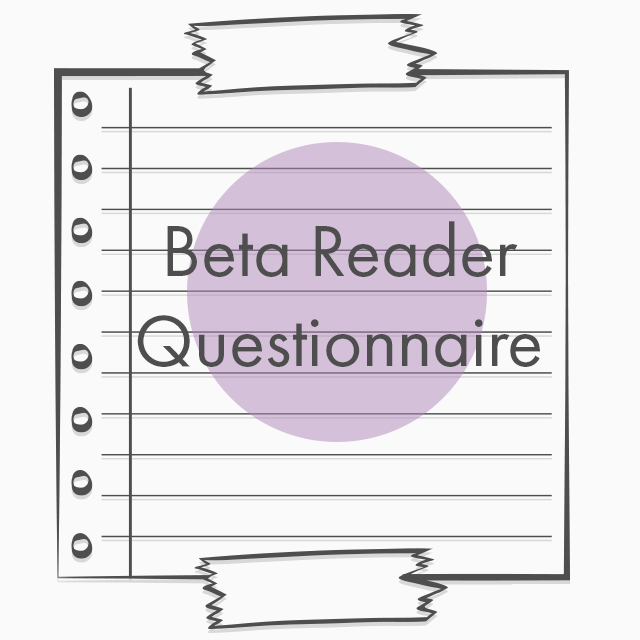 Include some information on your ideal Beta Reader. Compatibility is essential in how successful this process will be for you and your beta readers. Let them know right from the start what you expect. Let your potential readers know you are open to their questions. Invite them to speak to you should any problems occur that will impact their abilities to complete the project. Include sample chapters to give your potential beta readers a feel for your voice, style, and the story. The second thing you want to do is curate your list of beta reading questions. I'd recommend you have questions for general and specific chapter by chapter feedback. To help you get started, I’ve put together an orientation packet and a sample questionnaire in Google Doc that you can copy or download and fill out as desired. I've also curated a master list of beta feedback questions available as a PDF download. Hop over to the Owl Lounge where you'll find the links and download. If you are a subscriber, type in the password at the bottom of your welcome email. Not a subscriber? Sign up here for access. I do hope you found this post and the resources useful as you go begin the process of finding Beta Readers and Critique Partners. If you have any questions, drop me a message or leave a comment below. I’d love to hear from you. Until next time, Writer, happy writing! Sign up to my newsletter for access to the Owl Lounge and grab FREE resources for Beta Reading Resources.